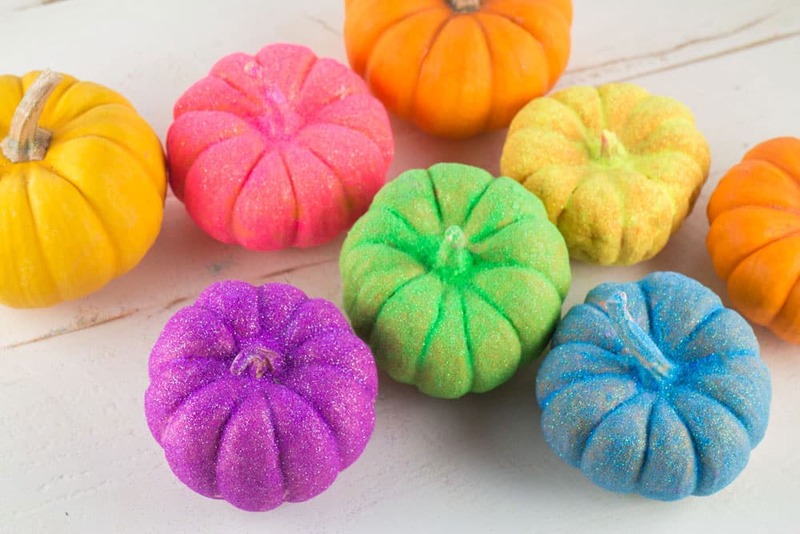 QUICK Rainbow GLITTER Pumpkins craft! This is a easy arts and crafts Halloween activity for preschoolers and kids! We love adding neon color to our Halloween decorations! Halloween is usually associated with orange, black and white but who says we can’t add neon rainbow colors to pumpkins and decorations? 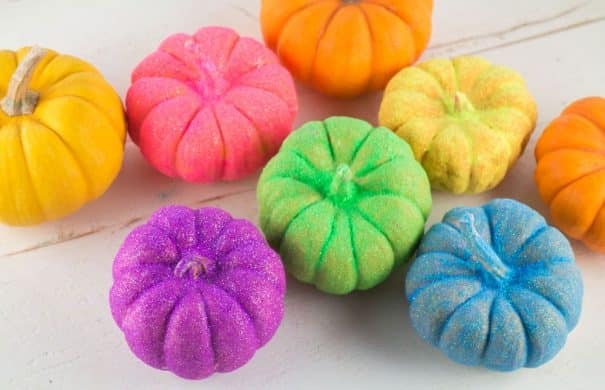 With this fun pumpkin craft you’ll soon have neon glitter pumpkins to decorate your entire house with! This is a easy craft that you don’t need a lot of time to do. If you’re a crafter, you probably already have the supplies in your overflowing craft cabinet too. You can pick up the munchkin pumpkins at a farmers market or local store selling them. Alternatively you could also use fake munchkin pumpkins if they’re out of season. This is a easy craft to do with kids and toddlers. 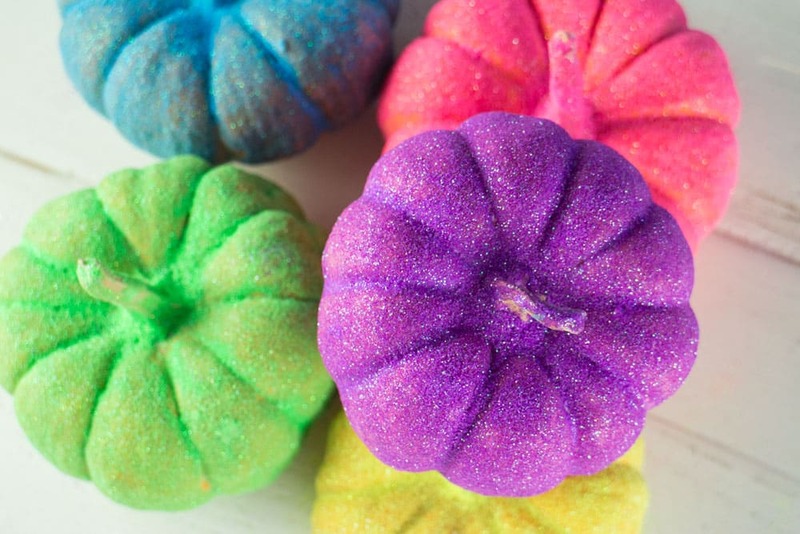 They will love helping you roll the pumpkins around in the glitter. 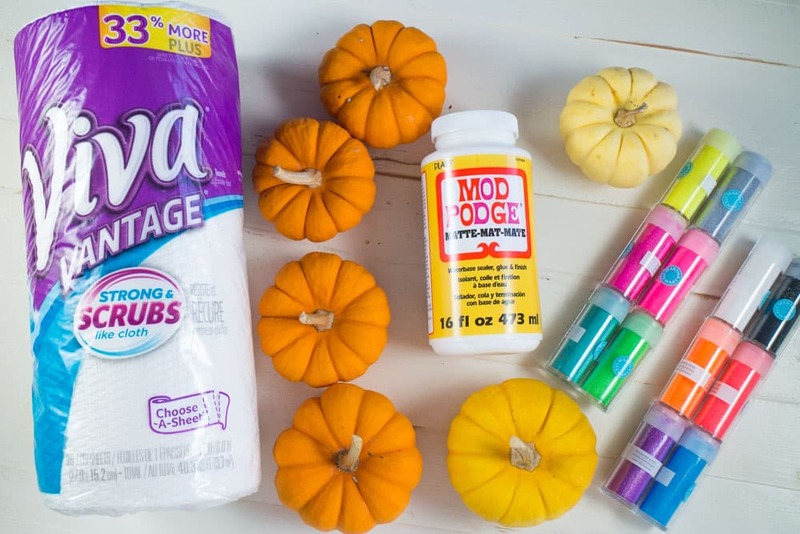 Warning: Yes, there’s glitter involved in this craft, so make sure to put some newspaper underneath the pumpkins (and probably on the floor too!). It’s a great sensory activity for kids to learn their colors too! 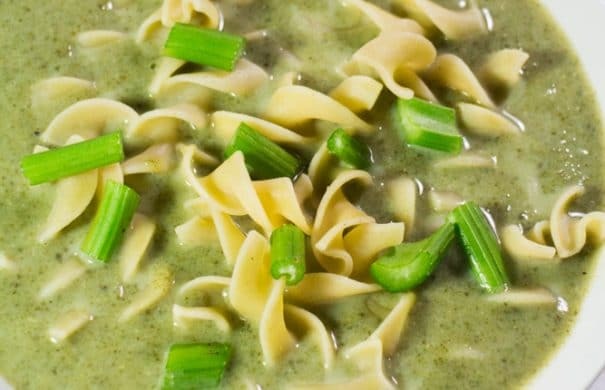 Creamy CELERY and Egg Noodles Soup recipe! This easy vegetarian soup is filled with vegetables and served with egg noodles for a hearty, healthy dinner! You can even add chicken in it for more protein! It’s a simple and delicious way to eat your vegetables, even kids like it! Whenever I ask myself “What should I do with a head of celery?” this soup is always the answer! We’ve had good success with growing celery in the garden for the first time this year. 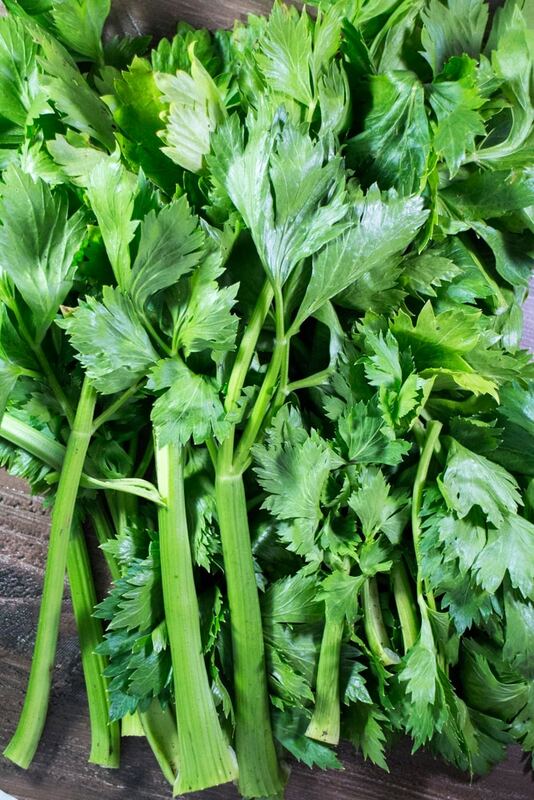 With the end of garden season in sight I’m left with a few beautiful heads of celery hanging out in my refrigerator. This leads me to the question of the week “What should I make with lots of celery”? Sure there’s the easy route of cutting celery up and dipping it in peanut butter for a delicious snack, but I wanted to throw my apron on and come up with something new for the celery. It was the first day where it felt like Fall, the weather was crisp and chilly and so I was craving something warm. 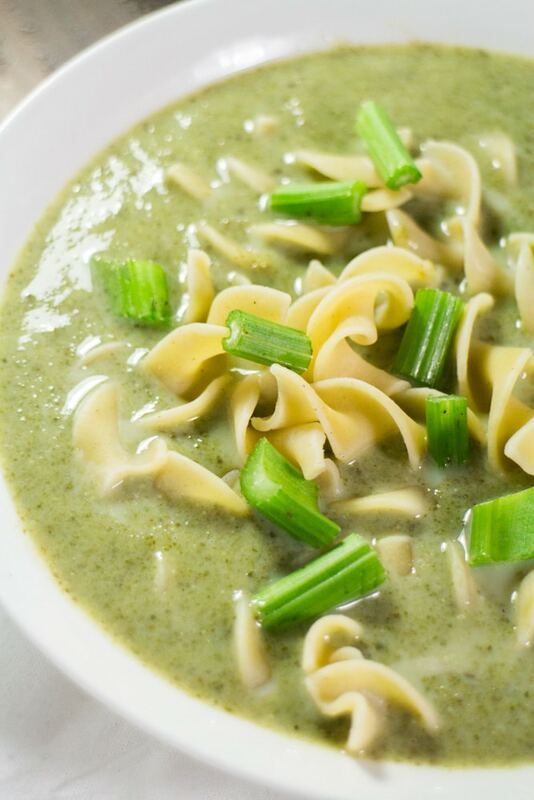 Ta-da, Creamy Celery and Egg Noodles Soup was born! This soup is creamy, delicious and is filled with enough vegetables to make this a healthy comforting soup! This soup uses 1 whole pound of celery. Most recipes call for just using the celery stalks but I wanted to use everything, so that’s what I did – celery stalks, leaves, everything! The leaves have so much flavor (and scent!) to them that they deserve to be enjoyed too!